In Doylestown alone, there are more than 23 chiropractic centers or private practice chiropractors to choose from. So how does anyone go about finding the BEST or RIGHT chiropractor for their specific needs? Your relationship with your chiropractor can be very personal, or it can be casual, as needed or sporadic. Some people visit the chiropractor once or twice a month for a “tune-up”, some 2 to 3 times per week when they experience an acute condition or injury. Some reach out to their chiropractor before their family doctors, preferring a non-allopathic approach to wellness when possible. There are pain, sports, family, and wellness oriented chiropractors, and most, like me, specialize or focus their practice on specific techniques or populations, based upon their personal and professional experiences, and academic proclivities. The ACA, (American Chiropractic Association) recommends that you search the Yellow Pages, speak with friends, or contact your local chamber of commerce. You may also Google doctors in your area, but you risk limiting your choices to those doctors who command the art of Optimization, or have large marketing budgets, but may not be exactly ‘right’ for you. One thing is certain; stringent educational and professional requirements are required for state licensure, so be assured of the academic competence and clinical experience of any practicing chiropractor. How long will my first appointment take? How long are routine office visits? What does the doctor specialize in? Does the doctor frequently treat people with my condition? What techniques does the doctor generally use? How long before I can get my first appointment? Is the doctor available when I am? Does the doctor offer any other services? Will the doctor verify my insurance coverage before my first visit, if possible? If the doctor does not accept my insurance, what are the costs of a visit? An evaluation? If you are a Medicare participant, does the doctor accept Medicare; are there any fees for services that Medicare does not cover? What are they? Do I need a referral from my Primary Care Physician to see the chiropractor? Whether you have a long history of pain, have underlying health issues, are in the “over 55” age group; or, whether you are athletic, youthful or suffer from periodic neck or back pain, your needs will be very specific. Make sure you ask the right questions and get satisfying answers from the person on the other end of the phone before you schedule that evaluation. The doctor’s support staff should give you a feeling of confidence and experience as well. The customer service you receive during the first phone call will reflect something about the doctor besides his/her skills and success rates. Your friends and coworkers are a great resource for referrals, but it is critical that the doctor you choose is the doctor that is right for you! 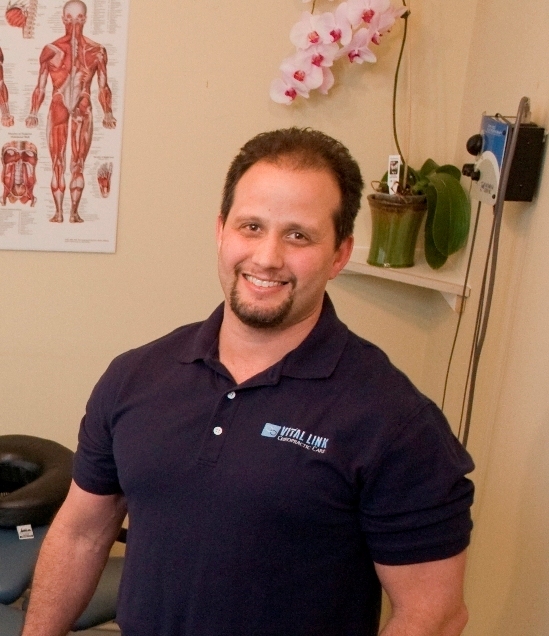 To learn more about my practice and multi-disciplinary chiropractic pain management, visit my website: www.vitallinkus.com or call my office; 215-230-8100. The doctor makes the difference! Dr. Wargner, great post! I always enjoy reading and learning more about chiropractors. The over all site is well done. I look forward to returning soon. Thanks Scott! Glad you enjoyed it. Look for my next blog about patient’s expectations vs. the doctors. I think you will be surprised how different they are, and how important it is to be on the same page with your physician…..